Web application security testing is defined as the testing of the security mechanism employed in web applications to protect it from bad people. 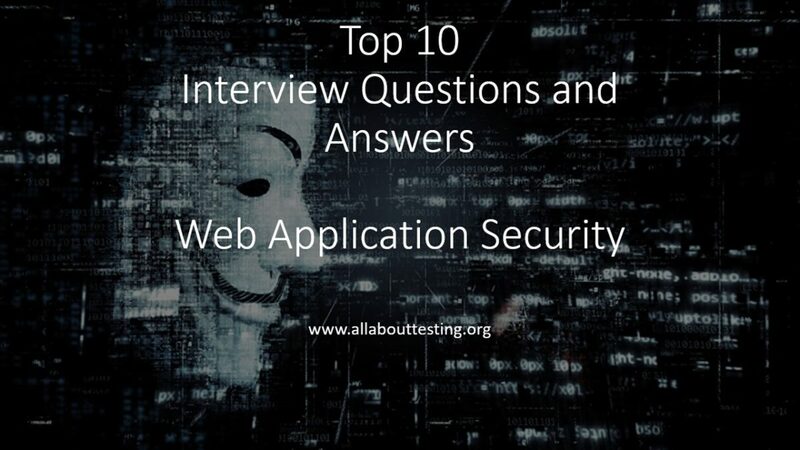 Here we will discuss interview questions and answers on application security testing. Q1. 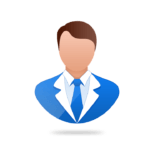 What port is for ICMP or pinging? Ans: Ping doesn’t use any port. It is used to identify whether the remote host at the other end is active or not. It also helps in determining the packet loss and round-trip delay while communication. Ping basically uses the ICMP protocol. Q2. Do you prefer Windows or Linux? Ans: Both operating systems have own pros and cons. Be ready with justification why you use a particular OS. But as a security analyst, they prefer to use Linux as it gives more flexibility and more security in comparison to Windows. Many security researchers have also contributed to securing Linux. Q3. What should be implemented on a login page? Ans: Must use TLS/SSL protocol while transmitting data. TLS/SSL protocol helps in achieving confidentiality and integrity of customer’s sensitive data by encrypting it while transmitting. If not used, an attacker can see sensitive information such as username, password, session id etc. Q4. How would an HTTP program handle state? Q5. What is Cross Site Scripting or XSS? Ans: Cross-site scripting is one of the common vulnerability found in web applications. Here, an attacker sends malicious scripts to the victim and tricked victim to execute those scripts. On execution, cookies, session tokens, or other sensitive information got compromised with an attacker. Q6. What are the types of XSS? Reflected XSS: In this vulnerability, attacker executed the malicious script and get instant output in form of error message, cookie information, and other sensitive information. Malicious script is not stored in the database in case of this vulnerability. Stored XSS: Here, malicious scripts got stored in the database, maybe because of comment field, discussion forums etc. Whenever the victim visited those pages, it got executed. DOM XSS: DOM stands for Document Object Model. It defines how documents are accessed and manipulated. In DOM XSS, malicious script flows in the browser and act as source and sink for the script in DOM. This vulnerability arises when a client-side script reads data from a controllable part of the DOM (for example, the URL) and processes this data without sanitizing the input. Q7. What is the business application of public key cryptography? Ans: The main business application of public key cryptography is digital signing and encryption. In digital signing, sender sign the document with the private key and receiver checks the integrity of that document with the sender’s public key. In encryption, the sender encrypts the document with the public key of receiver and receiver decrypt it using his/her private key. Q8. Explain Phishing attack & How can you defend against phishing attempts? Ans: In a Phishing attack, attacker trick victim to access the fake web page and submit sensitive information. Check for XSS vulnerabilities and implementing HTTP referer header are some mitigation techniques against the phishing attack. Q9. What is the difference between public key cryptography and a private key for encrypting and signing content? Ans: In digital signing, sender sign the document with the private key and receiver checks the integrity of that document with the sender’s public key. Q10. What can you use to defend against multiple login attempts? Ans: There are many techniques to defend against multiple login attempts. You can create an account lockout policy based on a number of attempts. Another method is to implement captcha on the login page to know the user is machine or human.